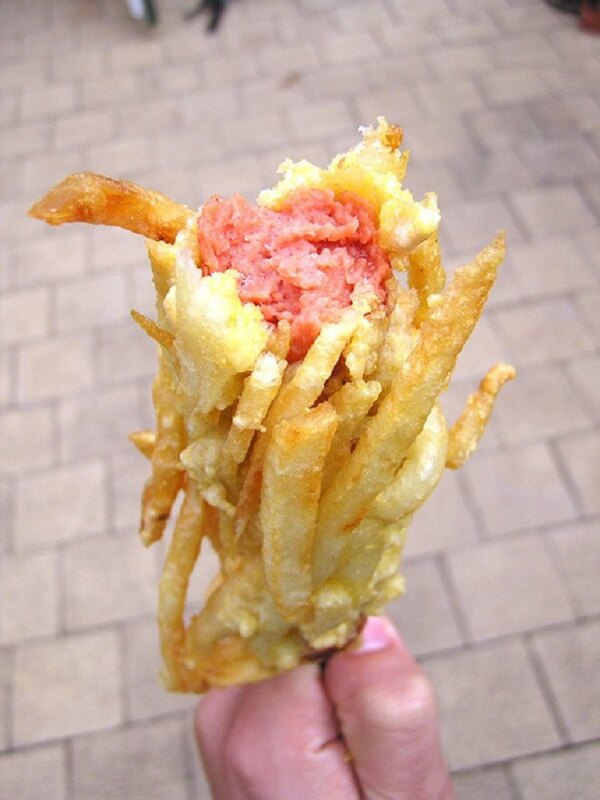 Korean street food vendors are home to a variety of unique culinary delights including ice cream condoms and this incredible corn dog, the Kogo. 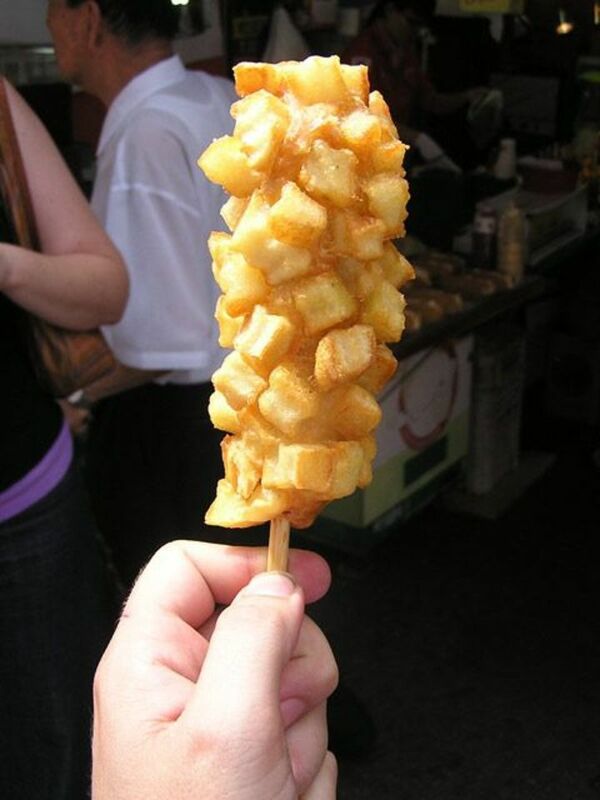 The Kogo is a hot dog on a stick that is covered by a delicious layer of fried potatoes. It is a staple of among Korean street-food and pairs extraordinarily well with condiments such as mustard and ketchup. Fresh Kogo with three different condiments. 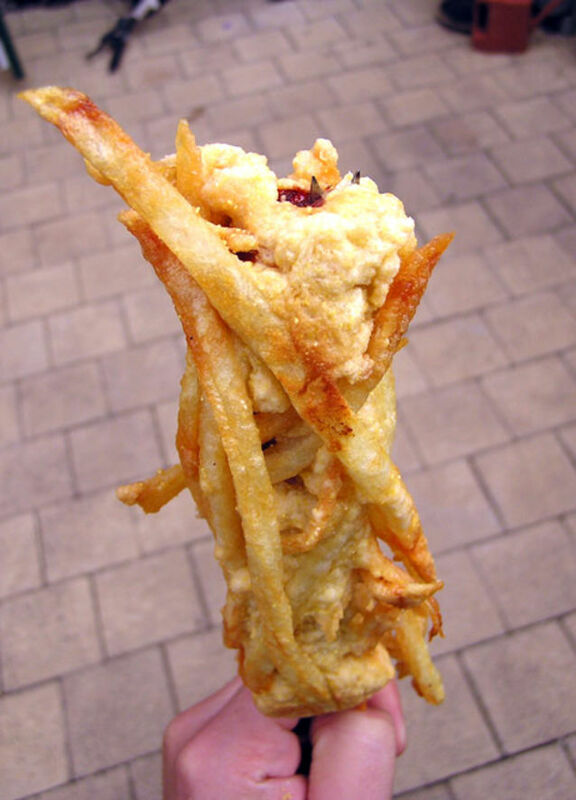 A closeup of the outer fried potato layer. Kogo with fried potato bits. The popular snack makes for the perfect side to any meal. 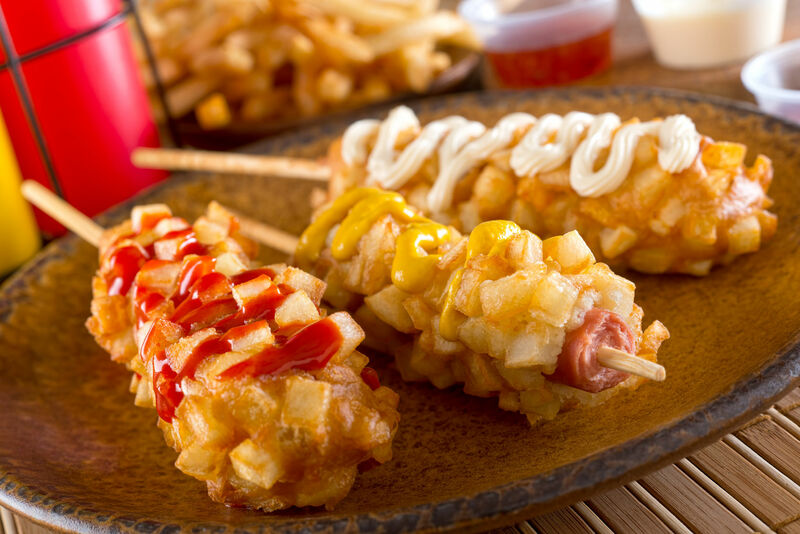 Interestingly, Canada comes next after Korea as the second country to popularize potato-wrapped hot dogs. 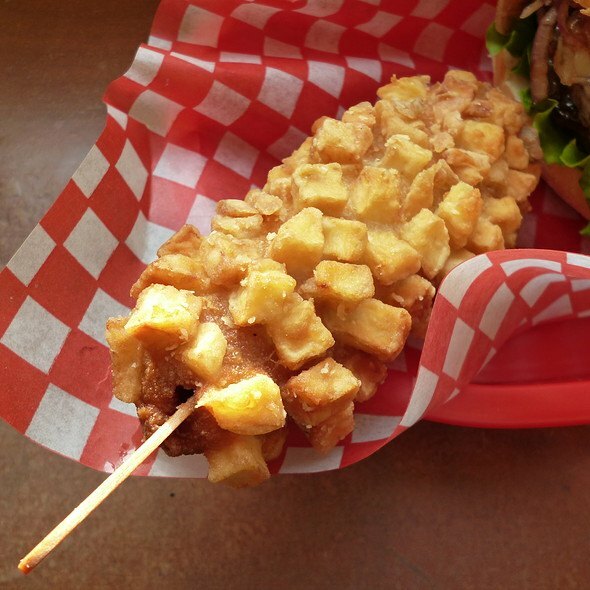 The name, Kogo, stems from a Korean twist on the popular Canadian corn dog brand, Pogo. 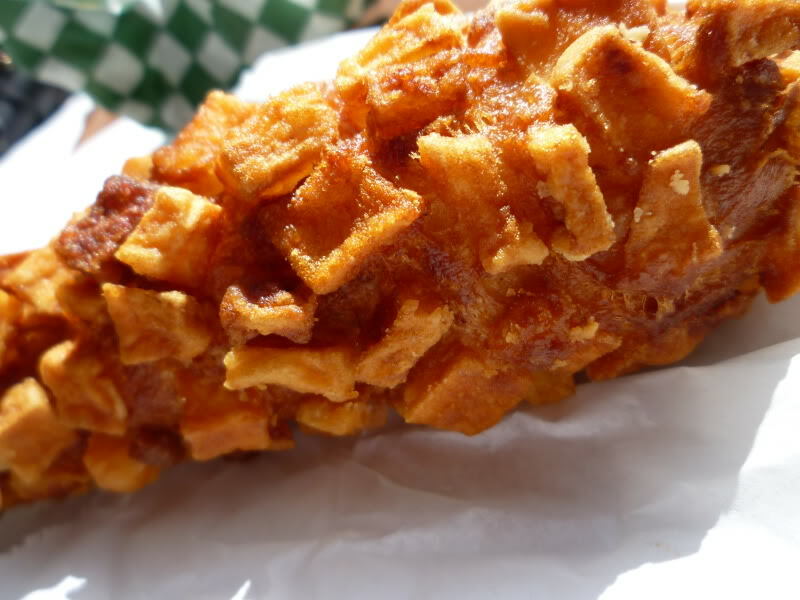 The deep-fried creation looks delicious! The next time you visit Korea, be sure to visit the street vendors and keep an eye out for Kogo!